An electrical engineer’s worst nightmare is frequency drift. You need your oscillator to stay at the same frequency no matter what. When materials age, though, their frequencies can change slightly. Quartz crystal oscillators age very slowly already, but they are kept further in check with temperature control. Other oscillators need a lot more help, and improving them would be hard. As long as you store quartz crystal properly, you can rest assured that it will keep working the way you want. Not all quartz crystals have the same frequency. The frequency changes depending on the size, shape, and thickness of the crystal. It all depends on how you cut it. Regardless of the frequency you’re looking for, a quartz crystal will stay consistent. You’ll get a huge range of frequencies to choose from, so it can suit any need you have. Anything that has energy can lose energy. When you’re creating something that relies on a consistent frequency, this creates a pretty obvious problem. The frequency won’t be the same if the oscillator is slowly losing energy. Quartz oscillators have a very high Q factor, which means that it takes them much longer to lose energy. You can use a quartz crystal oscillator with confidence knowing that it won’t use up a ton of energy maintaining the same frequency. All oscillators, no matter which one you use, are going to have some phase noise. Phase noise is another way to discuss the amount of jitter on a frequency. The idea is to have a smooth frequency wave with tiny variations. Getting a perfect wave isn’t likely, though, so instead you should look for something with low phase noise to make sure you get the best results. The high Q factor of a quartz oscillator helps to lower the phase noise and keep everything running perfectly. This is especially important for people using a quartz crystal oscillator for their radio frequencies. Are you convinced that quartz crystal is what you need for your next project? You don’t need to look far to find it. Let QVS Tech be your go-to source for any of the products you need. 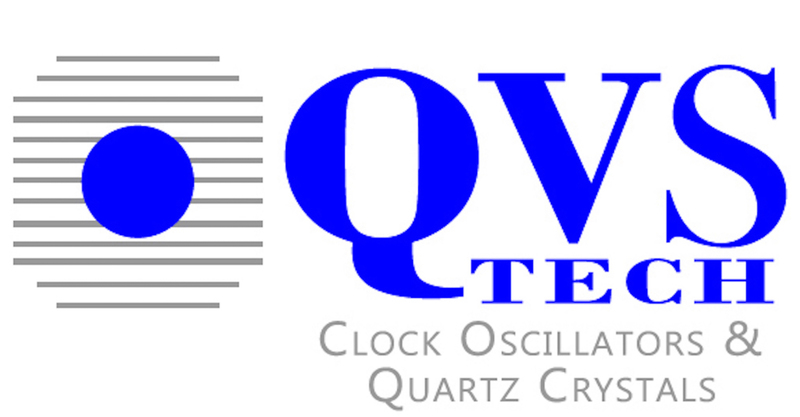 QVS Tech has been in the frequency control product business for more than fifteen years. We can make sure that you get the highest quality oscillator for your needs. See what’s in stock today.